Thanks to Sangster’s Rum Cream I’ll be enjoying Style Week and Caribbean Fashion Week this year and will be bringing you all the fabulous coverage. I got so excited that I even signed up for Snapchat which I think is the spawn of the devil so if you snap, then add me IrieDiva to see all the behind the scenes footage! Style Week kicks off tomorrow with their All White party and I’m so happy that I will be wearing a design of my own! It’s been a couple years since I’ve attended Style Week to be honest. I gave up on them when they used to hold their main show all the way out in Port Royal. That venue was fabulous but too far and too hot for me. 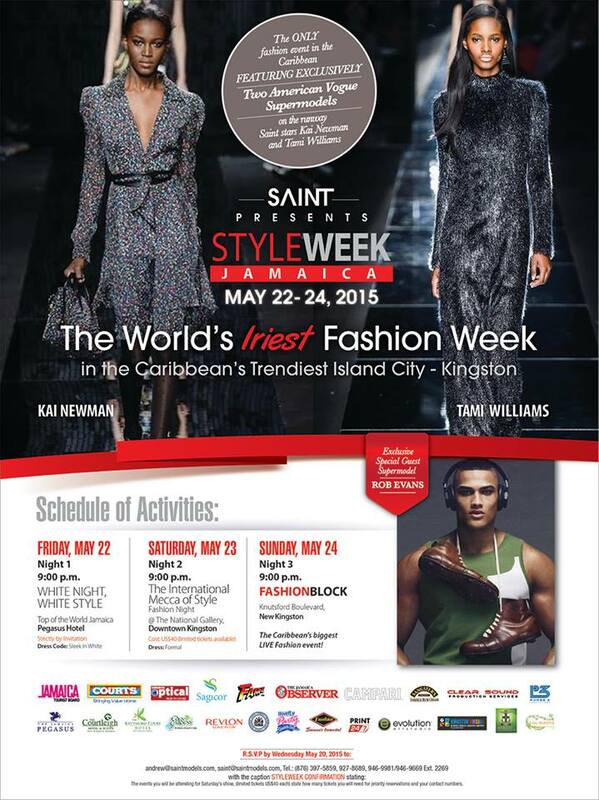 It will be interesting to reconnect with Style Week, see what’s new and get acquainted with their models and designers. Their biggest event is on Sunday when they take over Knutsford Boulevard in New Kingston in what is the Caribbean’s biggest outdoor fashion runway. It’s always a fun event so you should come out for the festivities! 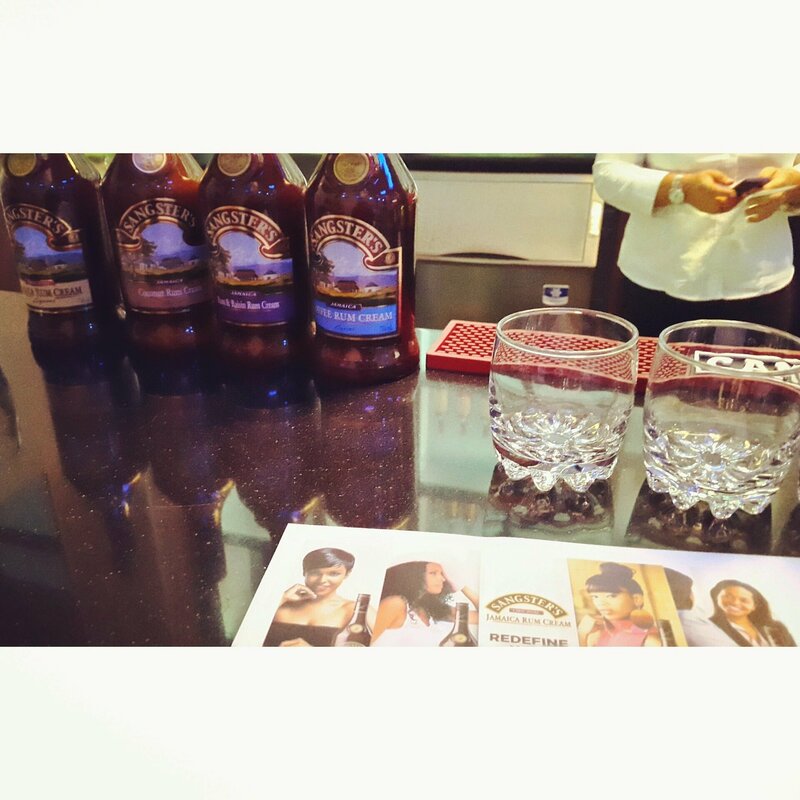 Are you familiar with Sangster’s Rum Cream? The #turnup queen that I am, I was already a fan of the original as it is a lovely, smooth rum cream perfect for a Sunday evening after dinner treat over ice. I have the wickedest sweet tooth especially after a meal, I need dessert. This is the perfect touch. They also have three flavours if you want to mix it up, coffee, coconut and the exotic rum and raisin. My recommendation is definitely the coffee, it is yummy! But you have to try them for yourself to determine your own because they appeal to our unique tastes. 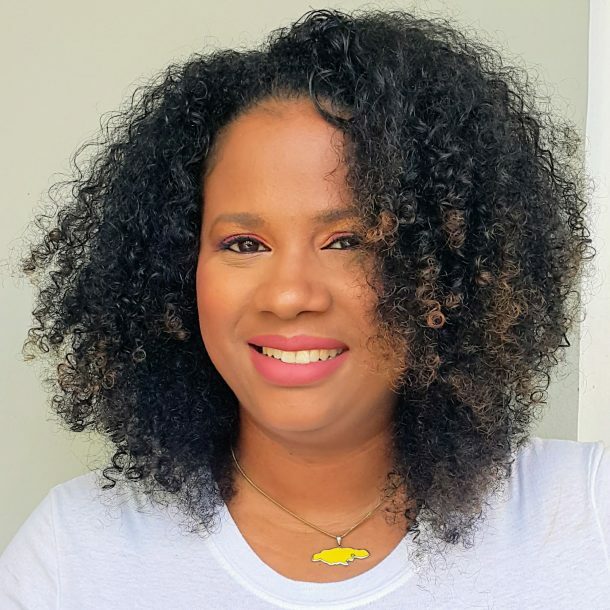 Sangster’s has charged me and three other fabulous Jamaican fashion bloggers with the task of bringing you the fashionable festivities from the intended personality of the different flavours. I got the coconut flavour, which according to them is a woman who’s natural, bohemian, optimistic and exotic. Well, my job here is done! They’ve already described me perfectly, don’t you think? So throughout the coverage you’ll see my highlight what will probably be my own favourite designs because these are the qualities that I like anyway. Irie! Allow me to bring to your attention these custom made clutches by a young lady named Andrea Sinclair. The brand is called 2qute and I think they are exactly that! 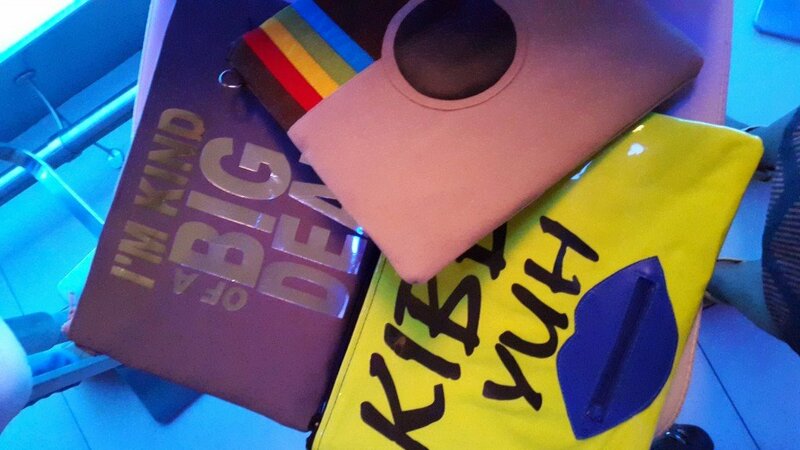 An Instagram clutch is the perfect accessory for a fashion blogger at a Style Week event, don’t you think? Of course I ordered a custom statement clutch to go with my outfits over the course of the different events. Can’t wait for you to see! Caribbean Fashion Week follows two weeks later with our old favourites and hopefully some new and fresh fashion designers coming out this season. I honestly didn’t think I would make it there this year since I wasn’t too happy with the event last year but here’s to hoping they’ve pulled out all the stops for their 15th anniversary! It’s an amazing achievement to have such a fashion event running for such a long time in the Caribbean, I would love to see our industry benefiting more from these events, bring on the ready-to-wear collections! I’d love to have been wearing all Jamaican designers to these events but there’s not much ready-to-wear from our fashion designers. Everything is custom-made, takes a while and costs custom money. I’d love to be able to go into a store and pick up a dress from Julan, Shenna Carby, Lubica, drennaLuna etc. Hopefully that is where our industry is heading. I have ordered a top from Minka that I’m very excited about. I’ve always loved her designs so let’s see! Follow these chic ladies who will all be on the journey with me as we #RedefineFashion together! Do you see a flavour that identifies with you? Do tell!